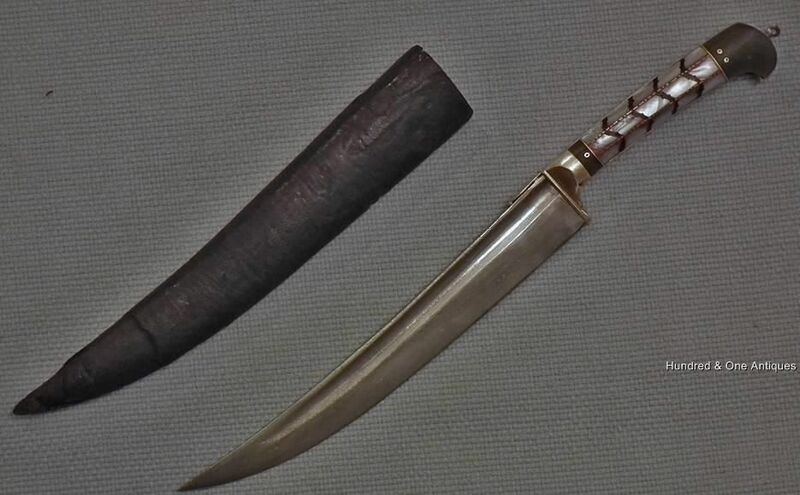 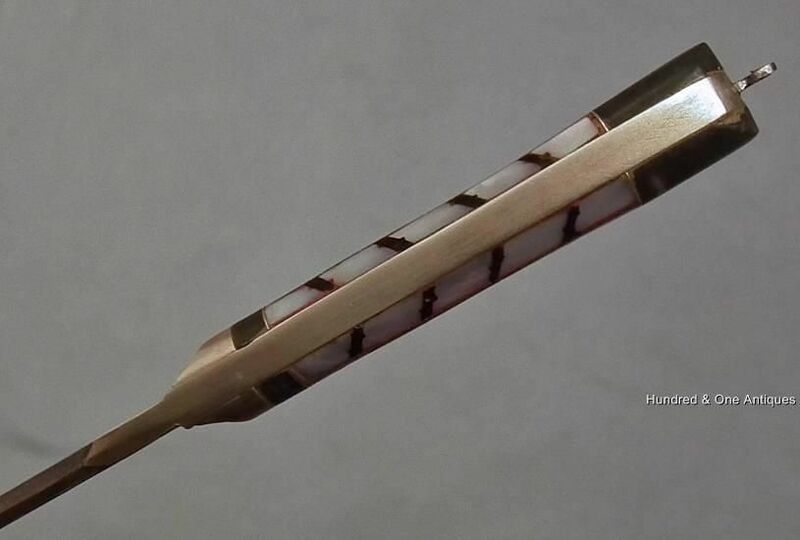 Antique Indo Persian Islamic dagger Pesh Kabz, North India 19th century. 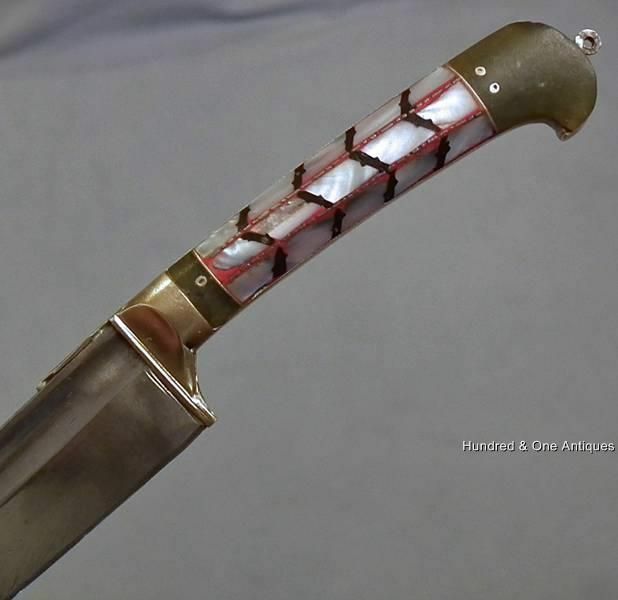 DETAILS: A sturdy slightly curved single – edged steel blade with fuller, an upper ridge hilt applied with mother of pearl faced panels forming a lozenge lattice design, panels of mottled green Jade above and below ,the spine covered with brass ,attachment loop above ,with its leather covered wooden scabbard. 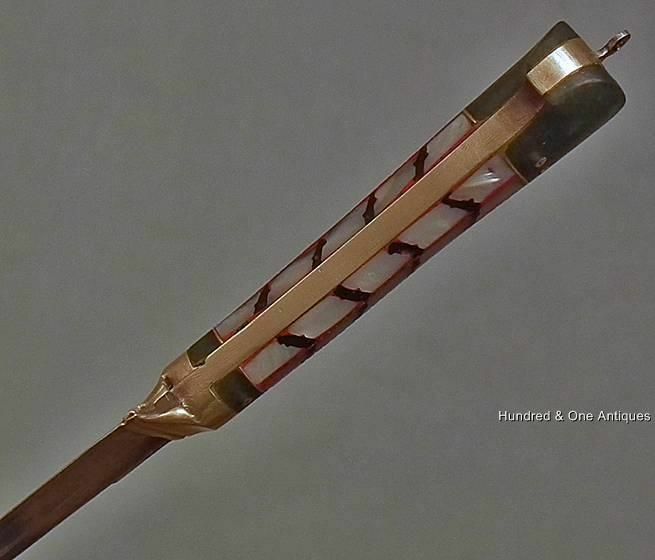 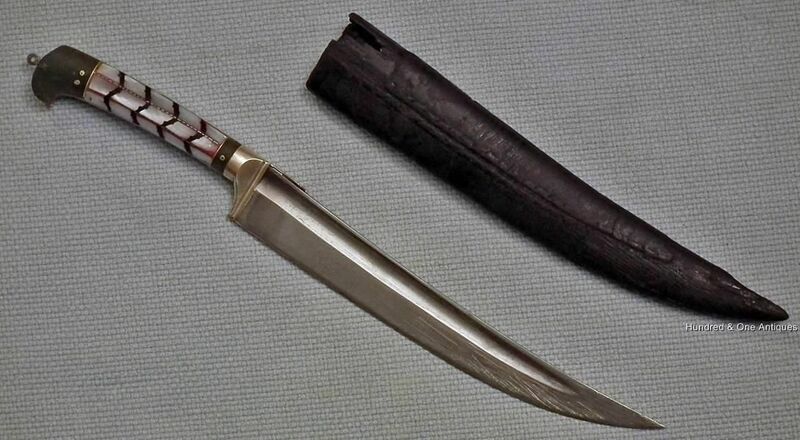 MEASUREMENTS: Overall length in the scabbard: 26 cm (10 1/4 in). 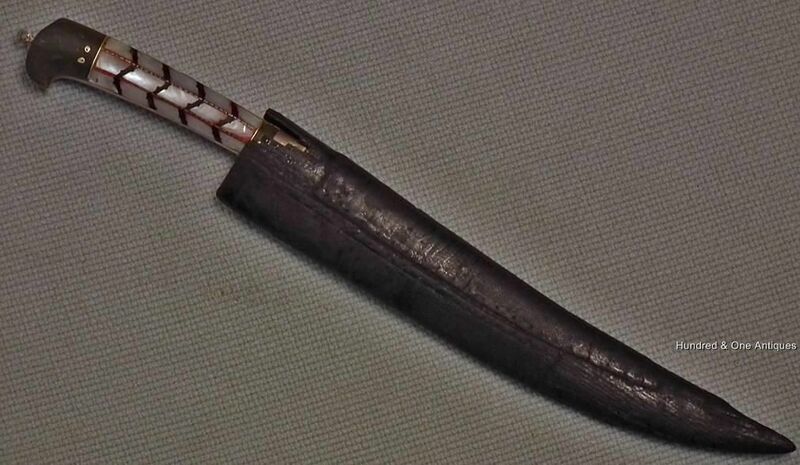 Overall length without the scabbard: 25 cm (9 7/8 in). 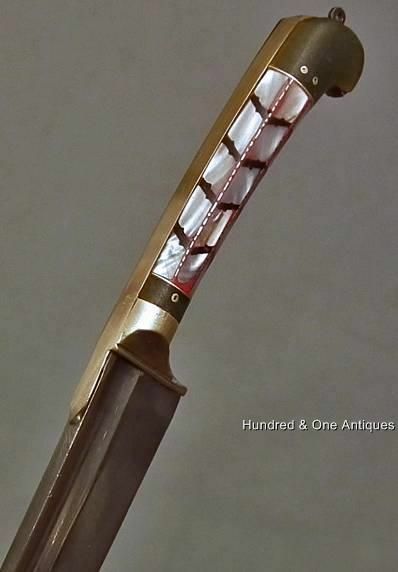 CONDITION: Showing signs of usage and wear, wooden leather scabbard that is chipped.